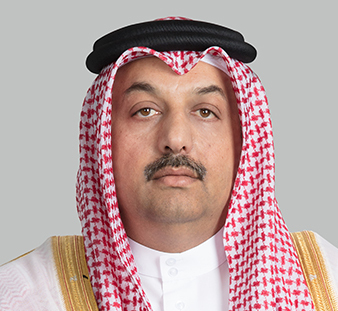 His Excellency Dr Khalid bin Mohamed Al Attiyah was appointed Minister of State for Defense Affairs in January 2016 and Deputy Prime Minister in November 2017. From 1987 to 1995, His Excellency the Deputy Prime Minister and Minister of State for Defense Affairs was a fighter pilot in the Qatar Emiri Air Force. In 1995, he established the Khalid bin Mohamed Al Attiyah Firm for Legal Consultations and Services, where he practiced law until 2008. In 2003, His Excellency the Deputy Prime Minister and Minister of State for Defense Affairs was appointed President of the National Committee for Human Rights. In 2008, His Excellency the Deputy Prime Minister and Minister of State for Defense Affairs held the post of Minister of State for International Cooperation; and in 2009, he was appointed the Acting Minister of Business and Commerce. In 2009, His Excellency the Deputy Prime Minister and Minister of State for Defense Affairs became the Vice-Chairman of the Board of Directors of Qatar’s Stock Exchange. Between 2009 and 2012, he was the Vice-Chairman of Qatar Financial Centre Authority, and between 2009 and 2013, he was the Vice-Chairman of the Supreme Council for Information Technology and Communications. In 2011, His Excellency was appointed Minister of State for Foreign Affairs and a Member of the Council of Ministers. From 2013 to 2016, HE Dr Khalid bin Mohamed Al Attiyah was Minister of Foreign Affairs. His Excellency the Deputy Prime Minister and Minister of State for Defense Affairs has a BA in Aviation Studies from King Faisal Air Academy, a BA in Law from Beirut Arab University, an MA in Public Law from Cairo University and a PhD in Law from Cairo University.